At Cell Phone Booster store we have the expertise to find you the right solution for poor reception problems. Our kits are FCC approved that is ready to install out of the box without any need to get consent from any provider in US and Canada. These booster systems are preapproved by the FCC for all carriers. Our systems have proven track record that has increased cellular and data signal in poor or no signal areas. Whether you are at home, working in office or driving in vehicle, we have the solution to help you find signal and boost it for both voice and data signal. 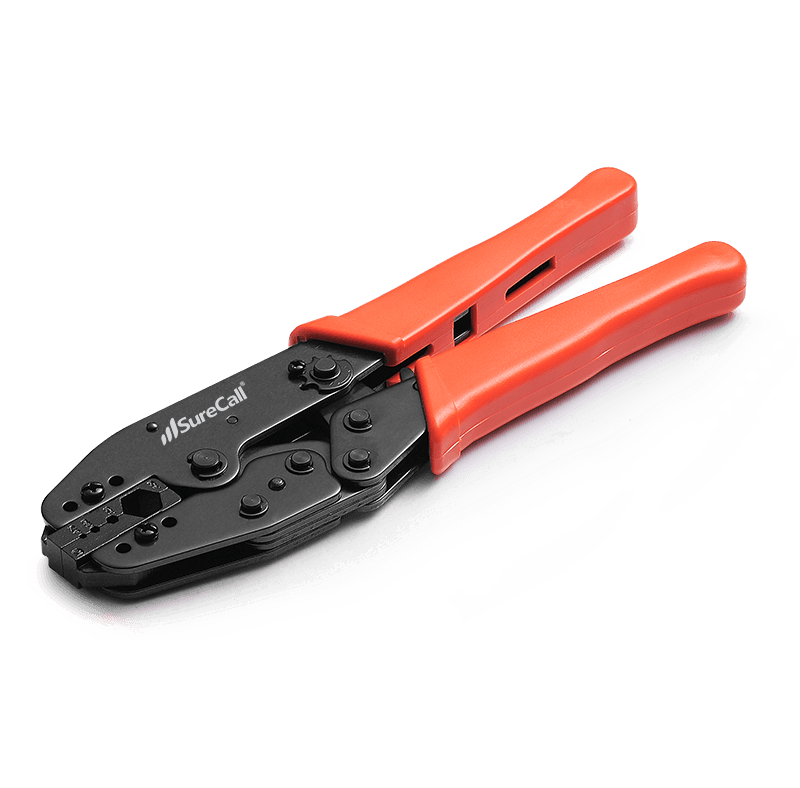 All our products come with a 2 year warranty or 5 year extended warranty. Finding a systems can seem daunting at first, but once you understand how an actual cell phone signal booster works, picking a right solution is a simple act. Now, this is what you need to know to choose the right solution for your specific problem. 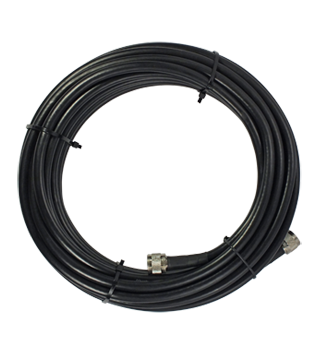 A complete booster system consists of an outdoor antenna, indoor antenna and an amplifier. What type of outdoor antenna do I need ? Basically there are 2 types of antennas, namely directional Yagi antenna and Omnidirectional antenna. The directional Yagi antenna is more sensitive to cell phone signal but as the name suggests it only picks signal from one direction like a TV antenna, that needs to be installed like a TV antenna as well. An Omnidirectional antenna can pick signal all around 360° but, is not as sensitive as the directional Yagi antenna and installation is as simple as picking a spot and installing it. Your present outdoor signal (not the indoor) strength is less then 2 bars. The signal strength can be easily found by looking at the number of bars on your cell phone. You can also get a precise strength in terms of decibels by putting your phone in a test mode. Find your phone model and its respective test mode HERE, or a simple Google or Bing search. a) Your present outdoor signal is more then 2 bars. 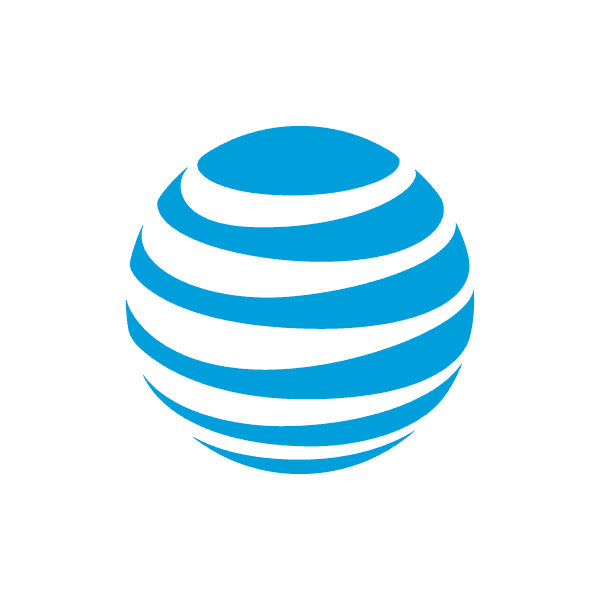 b) Secondly if your carrier uses more then one cell phone tower to make and receive calls. This information can be learned from the provider or other resources online. The omni-directional antenna will make sure you receive and transmit through all the towers in the vicinity of your location. What type of indoor antenna do I need ? 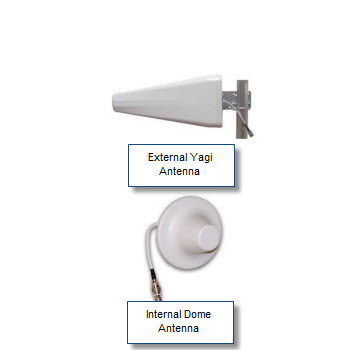 When it comes to selecting the indoor antenna is less critical then the external antenna. The two types of indoor antenna are the wall mount panel antenna and the ceiling mount dome antenna. a) The wall mount panel antenna broadcasts signal in a face forward direction and recommended for long hallways or ranch style buildings. b) The ceiling mount dome antenna is suited if you plan to mount the indoor antenna centrally. Does the outdoor antenna require power ? The only component that requires power is the amplifier and the rest of the components runs off that power source. All building amplifiers comes with a AC power supply and DC power supply for vehicles systems. Will the booster system boost data signal ? Yes, by increasing the signal strength for voice, our kits also improve the data bandwidth for faster internet. Our building is metal and brick, will this system work for us? Metal buildings are notorious for poor signal, because metal blocks cell phone signal from entering the building. However once the signal is inside the metal or brick building, that signal is in a sense trapped inside the building and provide excellent coverage. Our booster systems capture the cell phone signal via powerful antennas and bring it into the building by coax cables and broadcast a stronger signal with broadcast antennas. We can recommend a solution for your specific building, please fill this form and send it to us or call us at 1-888-878-9761 or email:store@cellphoneboosterstore.com with any questions.